Well, isn’t this a wonderful surprise!? 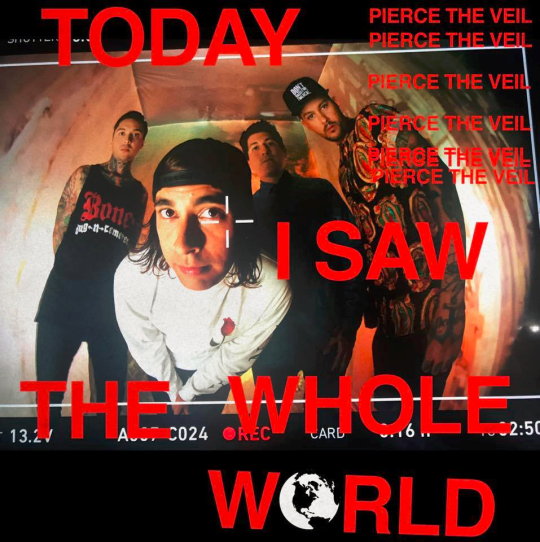 Currently out on tour with Rise Against and White Lung, the boys in Pierce The Veil have just released a surprise EP titled Today I Saw The Whole World. Now, if you’re wondering, “Hey, doesn’t Pierce The Veil have a song called ‘Today I Saw The Whole World?’” you’re right! Giving fans an added look into their Misadventures track, Piece The Veil has released a two-track EP featuring the original version of the song and an exclusive acoustic version. To check out both tracks, see below. 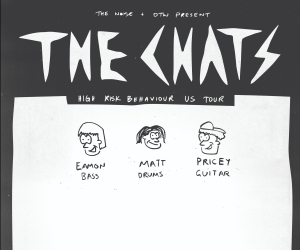 For more from the band, head here. APMAs Pierce The Veil Against Me!